lasertomato | Random moosages as I see fit. I have a tendency to misread things when I’m sleep deprived, so I read, “See giant tomatoes on sun.” And then I had to do a double take. But actually, that would make a lot of sense, that tomatoes would grow to giant sizes on the sun. Tomatoes really like sunlight. On the sun, there’s sunlight all the time (duh). The tomatoes are probably ginormous. You know, it’s probably where we’re getting our weapons-grade lasers from. You haven’t forgotten that lasers and tomatoes are directly related, have you? Anyway, this explains so much. We don’t really see laser guns and laser cannons in use because those tomatoes have to be cultivated on the sun. But that’s pretty hard to do given that the sun’s surface isn’t the greatest living environment for humans. And our manned space program is in shambles anyway (I’m not counting the ISS in this). We could send rovers to do everything for us, but all the active missions are on Mars. The sun’s surface isn’t the greatest place for rovers anyway. 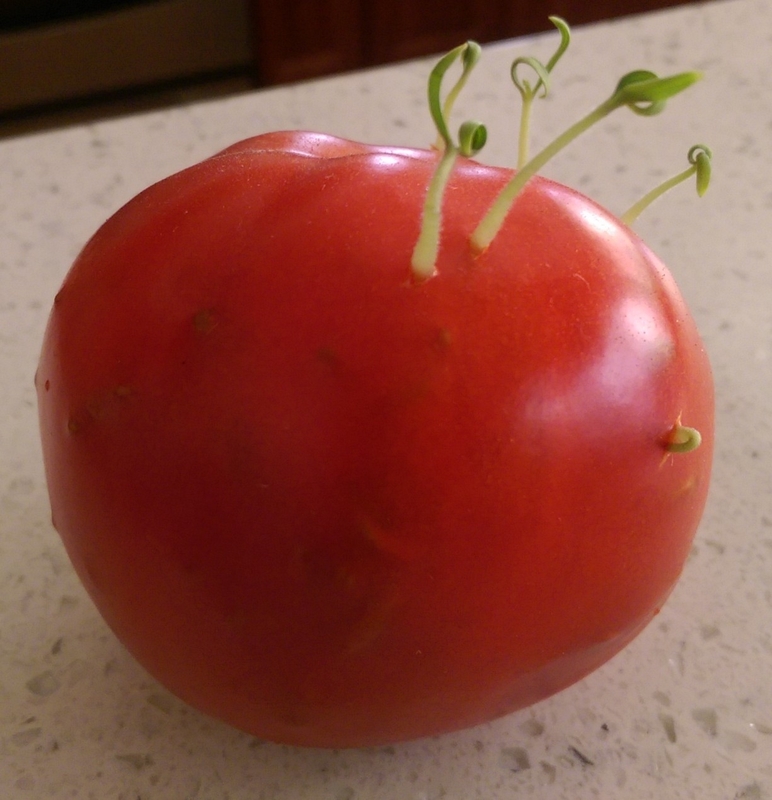 Hmm…maybe they’re growing tomatoes on SDO. Maybe SDO’s mission isn’t to observe the sun and the sun’s influence on earth. Or maybe that’s just the cover mission. The real goal is to grow weapons grade tomatoes. I bet SOHO was doing that too. I think…I may be onto something here. 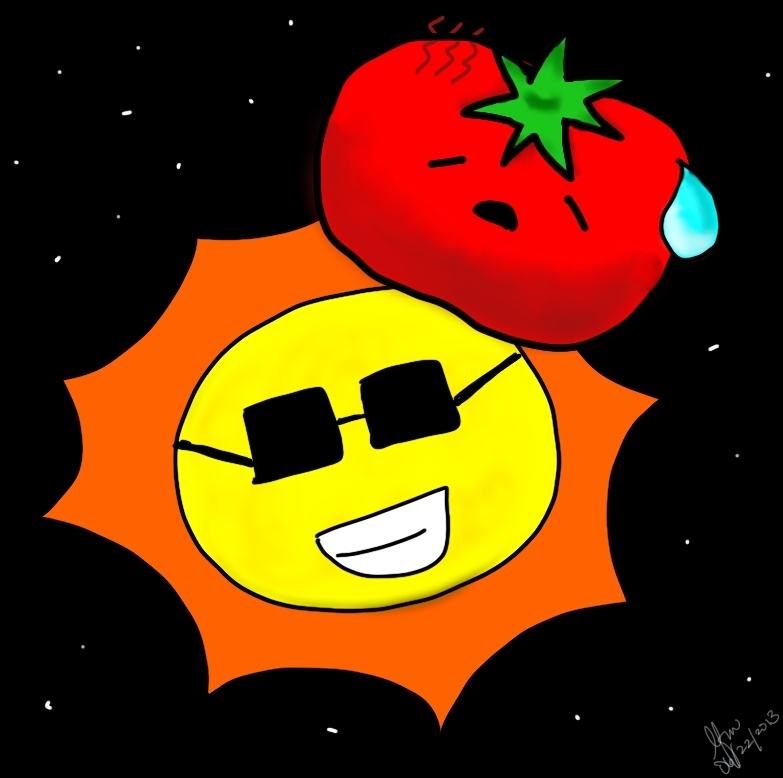 Well, I don’t imagine the tomato would be happy to be growing on the sun. It’s hot. Also, even though I put stars in the background, it’s a lie. You’d never be able to see any stars in the background with the sun in the way. It’s too bright. Here’s a video of the giant tornadoes (the storms are many times the size of our planet) on the sun if you’re interested. The sun is an interesting place.